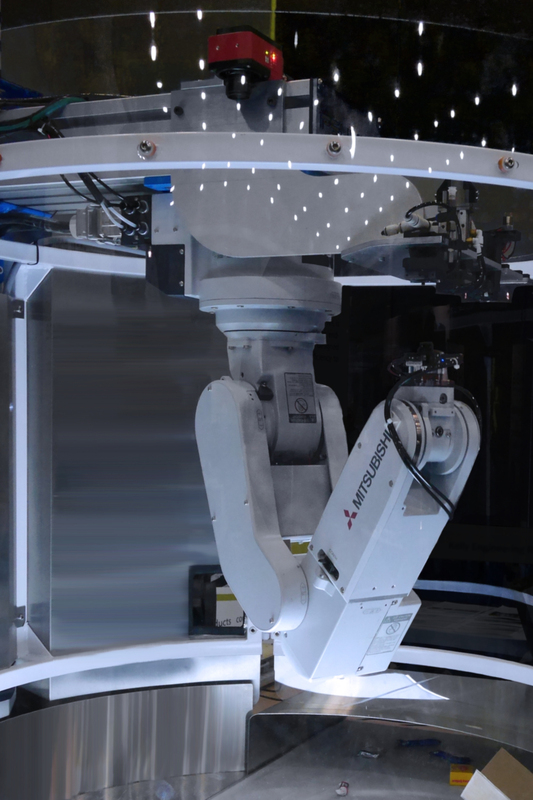 Adaptable across a variety of industries & applications, IRIS is a flexible and fully customizable robotic work station engineered to provide efficient and modular automation solutions. Featuring "plug and play" technology, allowing for quick and easy change of work station, IRIS's design allows for a vast array of tasks, ranging from simple pick-and-place, to more complicated assembly operations. The modular design allows it to be easily integrated into any manufacturing process, and modified or upgraded as needs and tasks change. 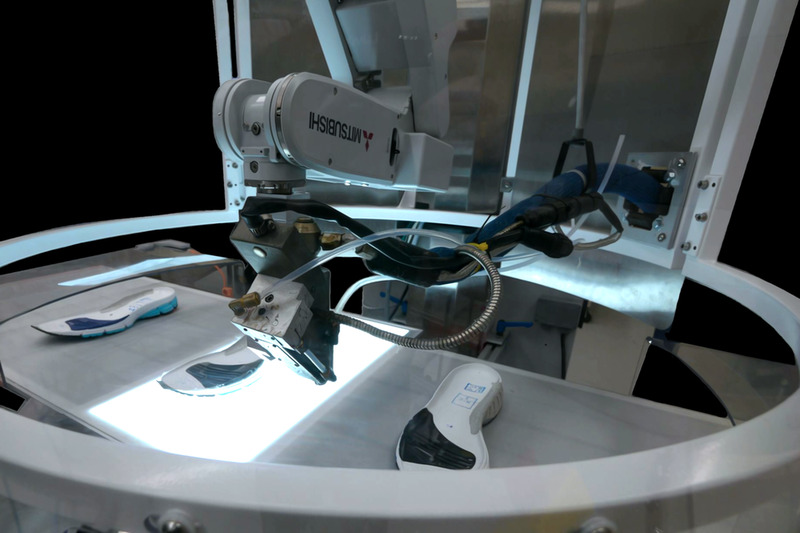 The version below incorporates a Mitsubishi RV-2SDB-S15 6-axis 2kg robotic arm and is configured to spray adhesive on athletic shoe outsoles. A real-time vision system captures the orientation of the outsole on the feed system and also determines the shoe size. The machine can then determine the correct output: a unique three dimensional spray pattern that matches the soles profile exactly. Will IRIS Work for You? Wondering if IRIS could fit your project? Schedule a demonstration or discuss ideas with a member of our team. Our extensive infrastructure of machinery, project management, and engineering teams will cater a solution to your unique needs.